This is an ad-hoc web site. The purpose is to make some simple filter software available until I get around to work out a more complete and systematic presentation of my filters. 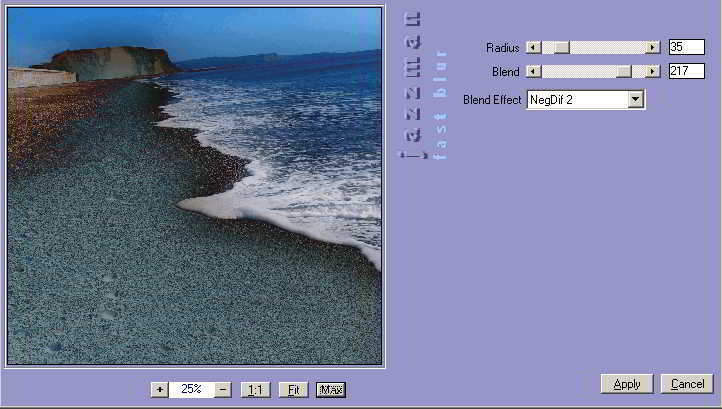 (1) Jazzmans Filter software is free for non-commercial use. (2) It is prohibited to offer the software through any other website, download service, file sharing, etc. (3) It is prohibited to include and distribute the software in packages/collections such as for exmple CDs/DVDs. I recommend that you point your friends to this website, rather than copying your installed files to them. This will make sure they will download the newest version. (4) The software has been developed and tested under MS Windows XP so that, to the best of my knowledge, it will not cause damage to other software, data or hardware. However, I can and will not grant any warranty as to the correct working or to not causing harm to your data or installation. You will use this software at your own risk. 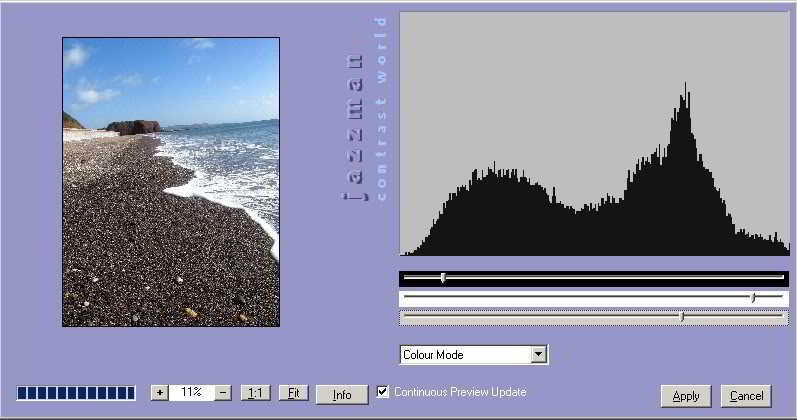 Read the full Software License Agreement before downloading/installing Jazzman's Filters! I haven't got the hardware yet for testing 64bit versions of my filters. As soon as that changes, I will provide those versions. 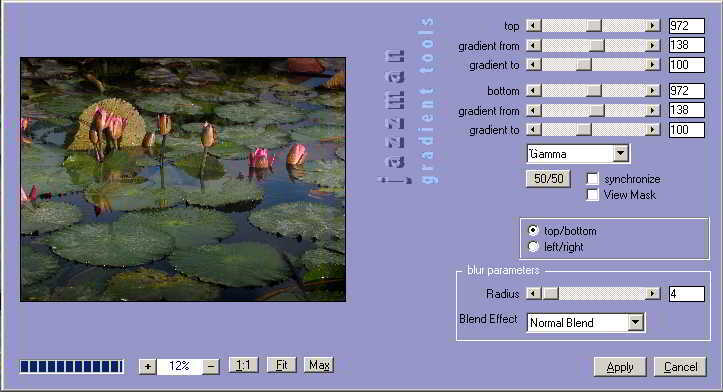 Applying effects with increasing/decreasing strength across an image: brightness, gamma correction (works like a graduated ND filter Wikipedia) and desaturate. Also an experimental version of blur. The filter will only apply one effect at a time. 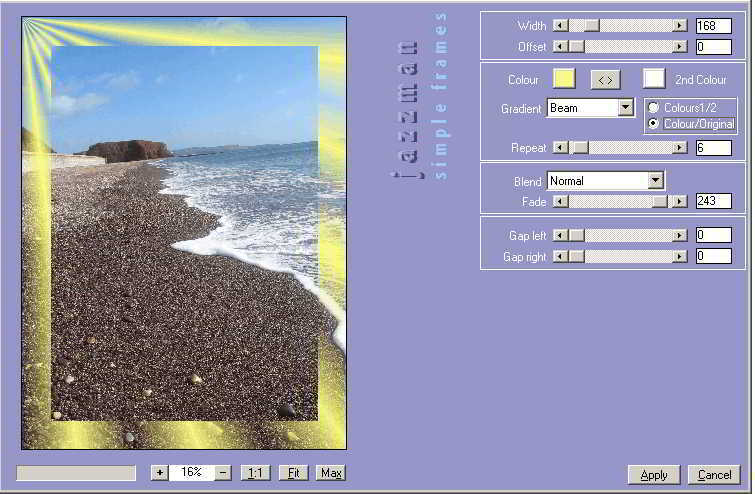 Replace colours while retainig saturation and brightness of the original. 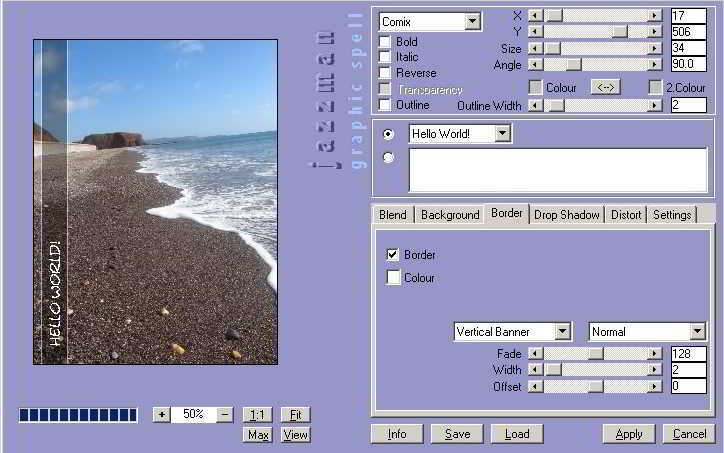 Near endless possibilities of adding text to images. Easy positioning with drag and drop! Get creative with blurring and overlaying. 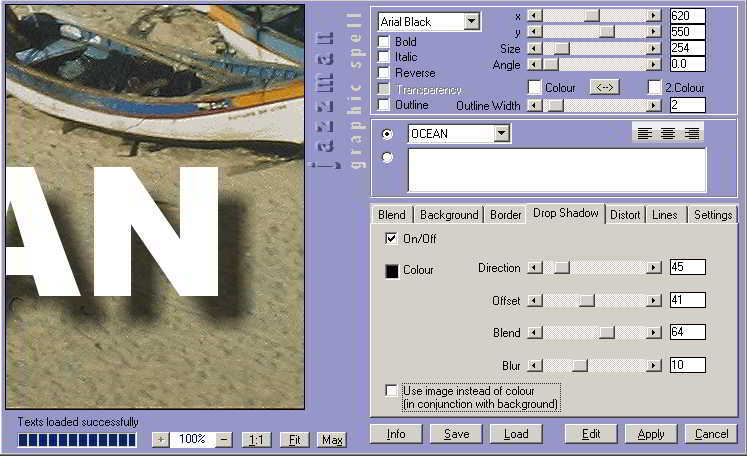 Draw Frames with various effects, including the option to leave a gap for text. 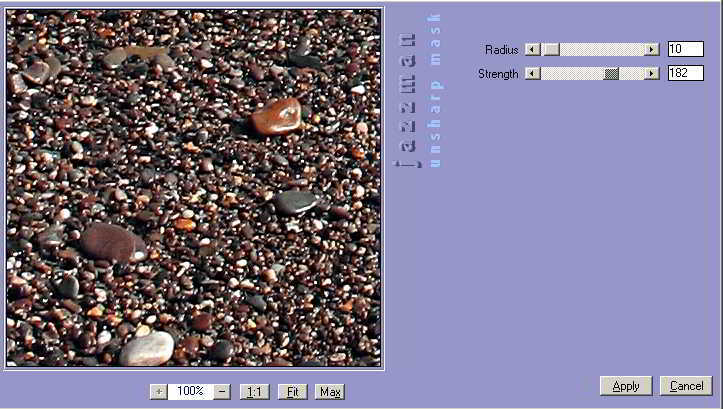 For adjusting the white balance of an image, right click on an area in the image that should be neutral. For best results this should be gray, rather than white or black. For enumerating comments in a graphic, e.g. a screenshot. Mit Urteil vom 12. Mai 1998 - 312 O 85/98 - "Haftung f�r Links" hat das Landgericht (LG) Hamburg entschieden, dass man durch die Ausbringung eines Links die Inhalte der gelinkten Seite ggf. mit zu verantworten hat. Dies kann - so das LG - nur dadurch verhindert werden, dass man sich ausdr�cklich von diesen Inhalten distanziert. Hiermit distanzieren wir uns ausdr�cklich von allen Inhalten aller gelinkten Seiten auf unserer Homepage und machen uns diese Inhalte nicht zu eigen. Diese Erkl�rung gilt f�r alle auf unseren WebSites angebrachten Links zu Dritten.